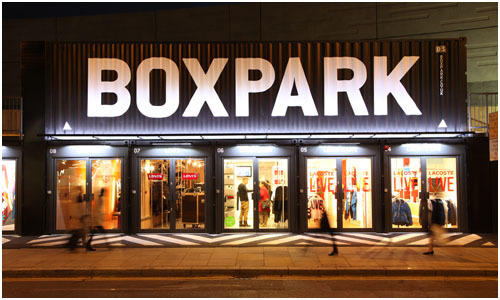 Boxpark, the world’s first pop-up mall has opened in London’s creative, hip Shoreditch district. 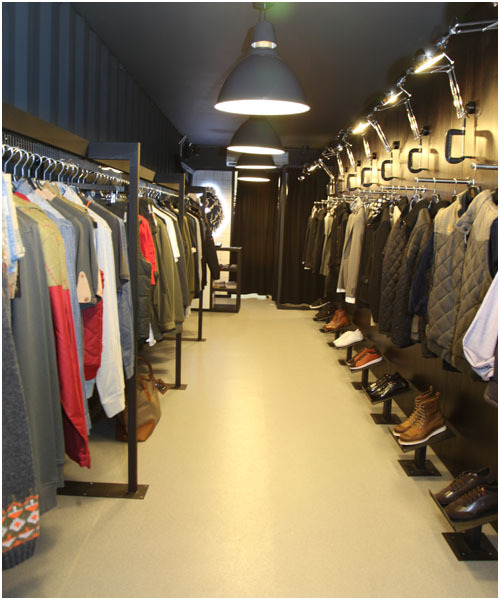 The mall consists of 60 brand as well as independent shops and cafes inside retrofitted shipping containers that are subdivided into unique, low-cost retail spaces. 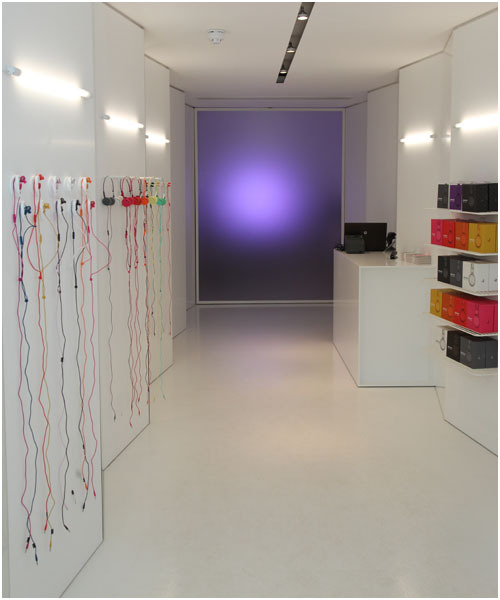 Some of these stores include Nike, Puma, Oakley, David Mayer Naman, Marimekko, Cybercandy and Namo. The mall is open 7 days a week, and will be open initially for 5 years. 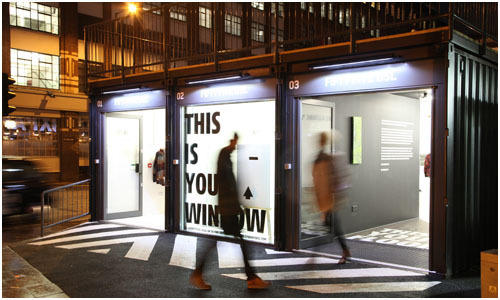 Get to the Shoreditch High Street Station on the London Overground, or walk from Liverpool Station on the Tube Check it out. 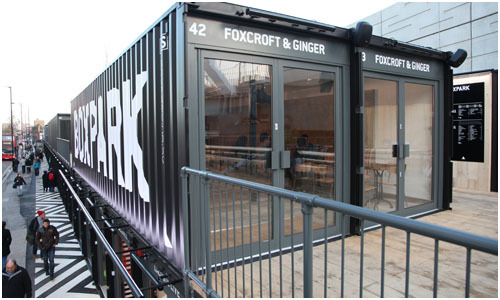 Edit: We incorrectly stated that the pop-up mall is accessible via the DLR, this has been corrected. 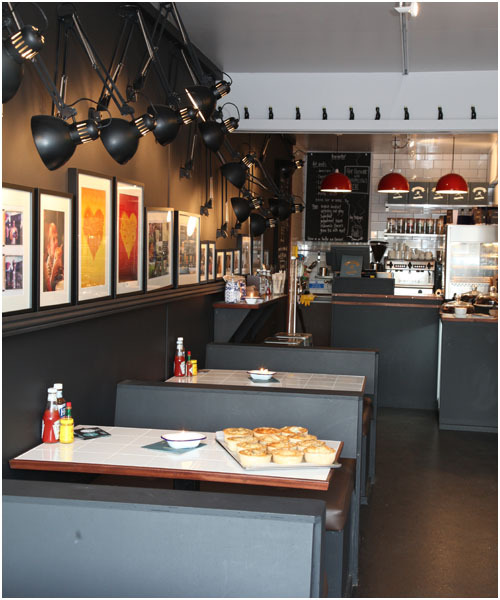 Andy – you can get there via the London overground, not the DLR 🙂 Or it’s a 5 min walk from Liverpool Street station for anyone coming by tube. Just updated the post! Thanks Kay!